Earn $50 for being a good neighbour. Don’t JUST store it, store it JUST RIGHT! 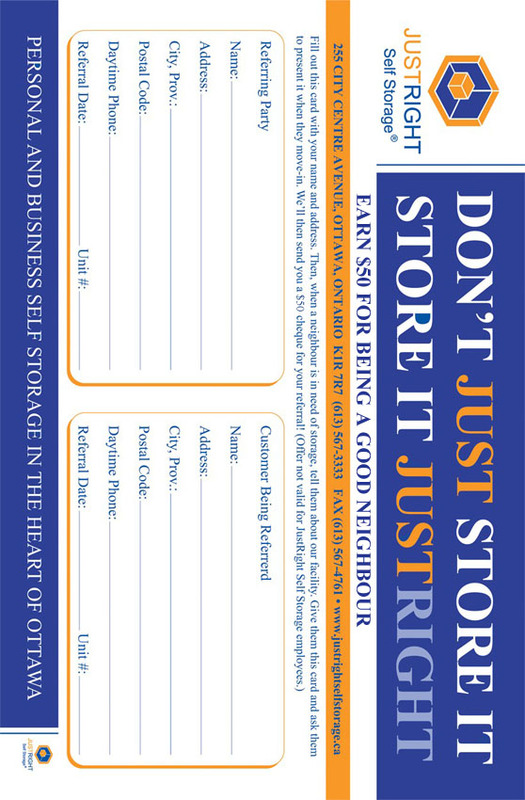 Ask us for our referral cards to hand out to your friends and neighbours when they are in need of a great storage facility in Ottawa. Give them the card and ask them to present it when they move-in and we’ll send you a $50 cheque for your referral! 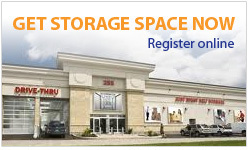 *Offer not valid for Just Right Self Storage employees.